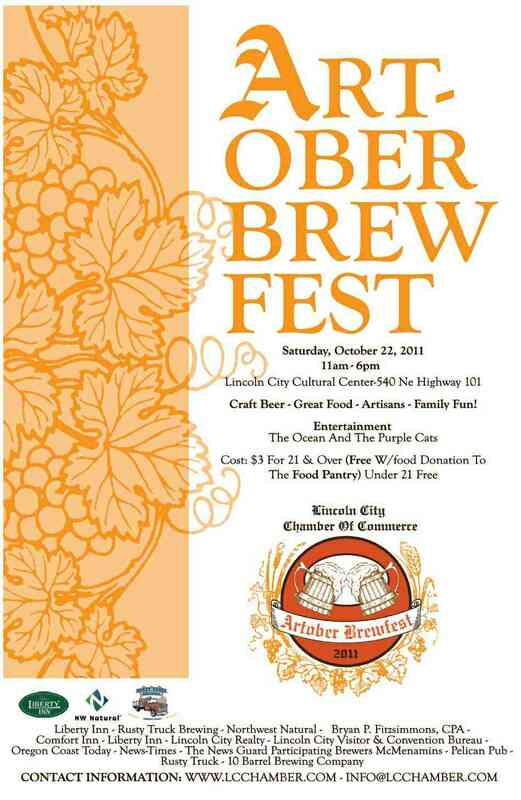 We have rooms still available, so come and join the 1st annual Artober Brewfest in Lincoln City, Saturday, October 22, 2011 at the Lincoln City Cultural Center. Local breweries, artisans, and culinary craftsmen,will be featured in this one day event. Enjoy live music, local artists and of course wash it all down with some local microbrews.